Are you one of the millions of former BlackBerry users that couldn’t, for whatever reason, let BlackBerry Messenger go? You probably have the BBM app for iOS and Android installed on your devices, then, and will be delighted to hear that an update with new features in tow will be made available for download today. 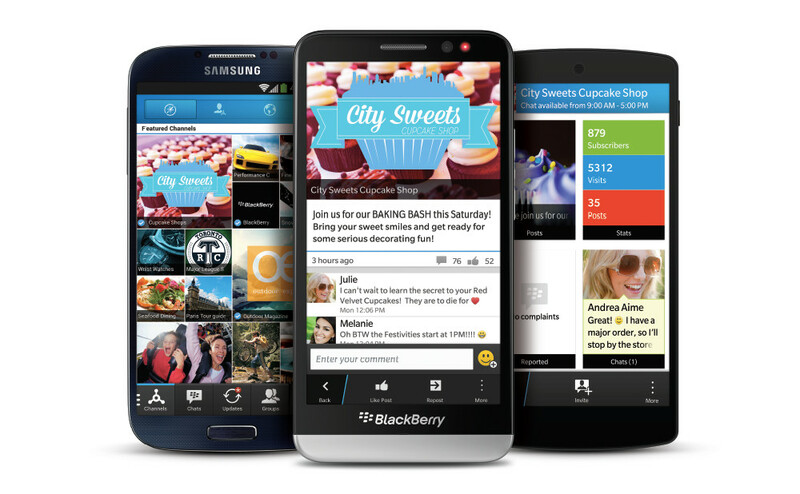 It’s that BBM 2.0 update we mentioned not too long ago, and it seems like the wait might have been worth it. BBM Channels are kind of like messages boards. You can join channels about a certain topic or brand, and then chat about it with other BBM users. BBM Voice is a VoIP service that allows you to call any one of your BBM contacts for free over Wi-Fi or cellular. One-click sharing adds a convenient button for the quick sending of documents, photos, and voice notes to BBM contacts. Dropbox has been integrated; you can send files from your account to BBM contacts, which they can then download or add to their own Dropbox. Location sharing, powered by Glympse, is exactly what it sounds like: sharing where you are in the world with friends. A timer function allows you to specify the length of time you wish to make your location public. Emoticons have been added – more than 100. The update is for both iPhone and Android, so check your respective app store.